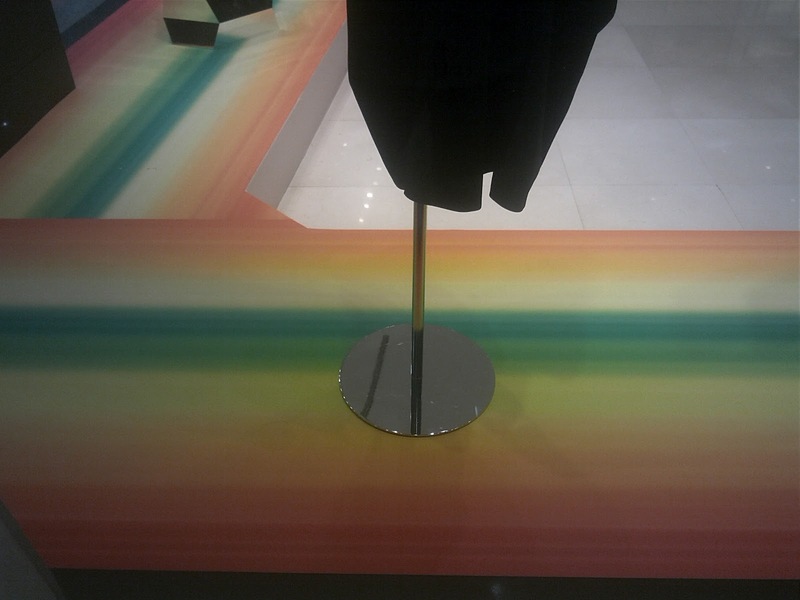 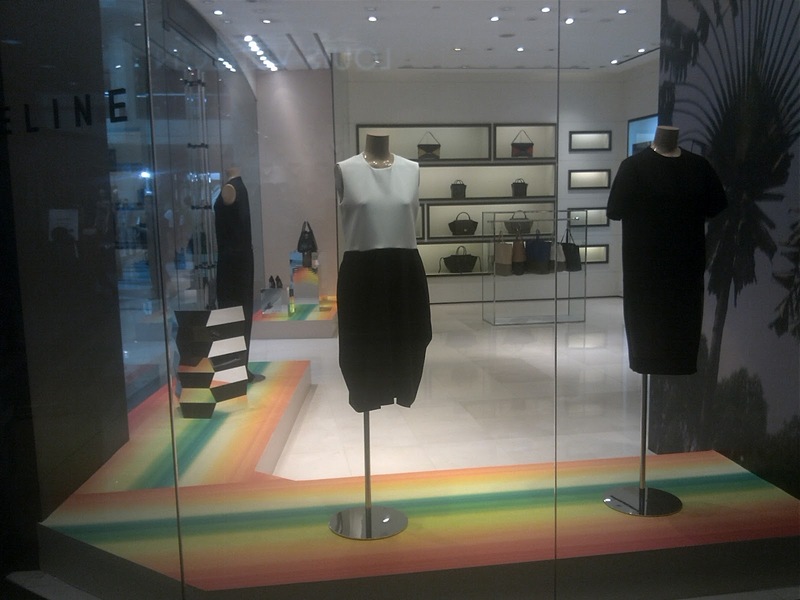 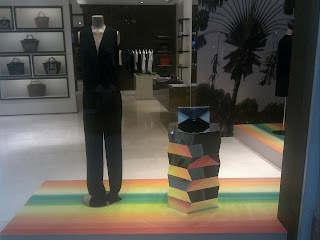 I was so surprised to find the latest Celine window display at Plaza Senayan. The somber color that fulfilled the ground window was replaced by the bright colorful stripes that form the rainbow effect. On top of the ground, properties in the form of boxes in various shapes has the silver metallic color with diamond-like structure like those of disco ball. 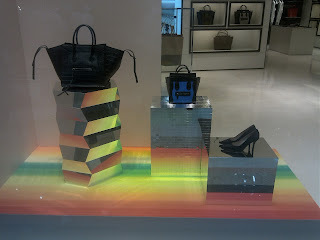 This look is very contradict with every Celine collection per season. However, it is also a strong and effective strategy to attract mall visitor to look at the boutique and notice the brand.